It is very likely that at some point in your life, you will either witness, be involved in an accident or experience a medical emergency. 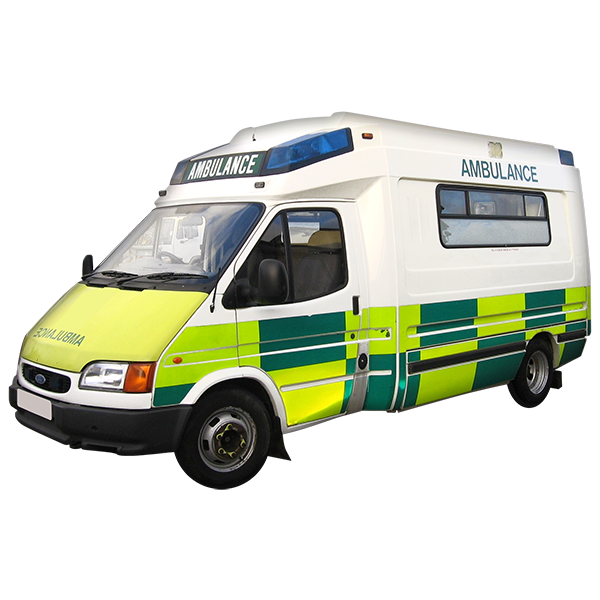 A medical emergency is when someone is seriously ill or injured and their life is at risk. Knowing what to do next and who to call can potentially save lives. To find out more about what to do in a medical or non medical urgency, please visit the NHS Choices website. Always Call 999 in a medical emergency – when someone is seriously ill or injured and their life is at risk. If it is a genuine emergency, where someone is seriously ill or injured and their life is at risk, call 999 and don't panic. You can contact emergency services via SMS if you are deaf, hearing impaired or have a speech impediment. Visit the emergencySMS website for more information or to register your phone. Where are you (including the area or postcode)? This will allow the operator to determine the most appropriate response as quickly as possible. Dialling 999 does not necessarily mean an ambulance will be dispatched. The call handler will decide what is appropriate. What is the age, gender and medical history of the patient? Is the person awake or conscious and breathing? The person who handles your call will let you know when they have all the information they need. You might also be instructed on how to give first aid until the ambulance arrives. If you are in the street, stay with the patient until help arrives. Call the ambulance service back if the patient's condition changes. Call the ambulance service back if your location changes. If you are calling from home or work, ask someone to open the doors and signal where the ambulance staff are needed. If you can, write down the patient's GP details and collect any medication they are taking. If you can, inform the paramedics about any allergies the patient has. Check that you and the casualty are not in any danger. If you are, make the situation safe. Assess the casualty and dial 999 or 112 for an ambulance (if necessary). STAY CALM and try getting an overview of the situation. Treat the most life-threatening problems, such as lack of breathing, bleeding or shock, first. Check for broken bones and other injuries afterwards. If a person is unconscious but is breathing and has no other life-threatening conditions, they should be placed in the recovery position. If a person is not breathing normally after an accident, call for an ambulance and start CPR straight away if you can. More information on First Aid can be found on the NHS Website. If you're worried about an urgent medical concern, you can call 111 and speak to a fully trained adviser. For less urgent health needs, you should contact your GP or local pharmacist. The 111 service is also available online, via video relay service that allows you to make a video call to a British Sign Language (BSL) interpreter and by text. To find out more, visit the NHS 111 site. For most people in Ealing, the closest urgent care centre is based at Ealing Hospital, which also treats children 24/7. Please note: there is not a children’s A&E at Ealing Hospital, should your child need more specialist care than the urgent care centre can provide, your child will be safely transferred with you to another hospital. More infomation on urgent and non urgent services for children within Ealing can be found here. There are also local urgent care centres at Northwick Park Hospital, Hillingdon Hospital and West Middlesex Hospital. They are all staffed by experienced GPs and nurses, healthcare assistants and other healthcare practitioners. All Urgent Care centres below are open 365 days a year, 24 hours a day. Urgent care services should only be used if you require urgent medical attention and cannot be seen by your registered GP. You can find your nearest GP here. GPs look after the health of people in their local community and deal with a whole range of health problems. They also provide health education, offer advice on topics such as smoking and diet, run clinics, give vaccinations and carry out simple surgical operations. If you are not already registered with a GP, you can visit your local surgery where you will be asked to complete a registration form so that all your records can be transferred to your new practice. You can choose a surgery of your choice, as long as you live within its catchment area and it is accepting new patients. Visits to the GP are free, but you'll usually need to make an appointment. You can make appointments by phoning your surgery, some surgeries even have the option of booking via an online account. GP opening hours can vary, if you need to get access to a GP out of surgery hours you should firstly call your GP practice who will be able to provide you with the contact number for their out of hours service.